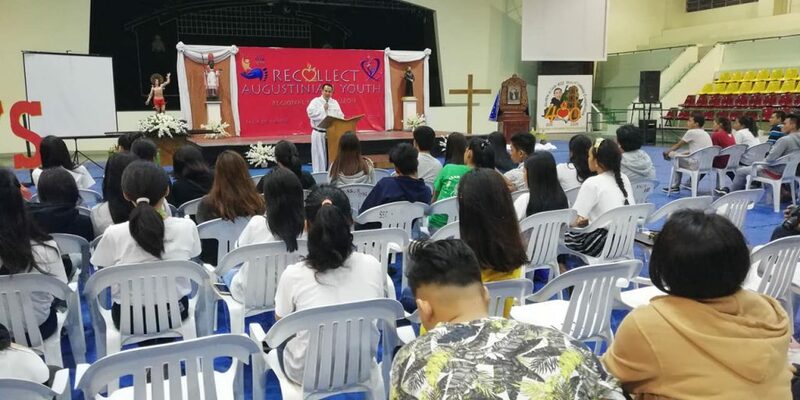 CAVITE CITY – Days 2 and 3 of the Recollect Augustinian Youth (RAY) Regional Summit were days of encounter with the Lord through the celebrations of the holy mass, gathering around the Blessed Sacrament, inputs from four speakers, sharing of reflections and cultural talents. 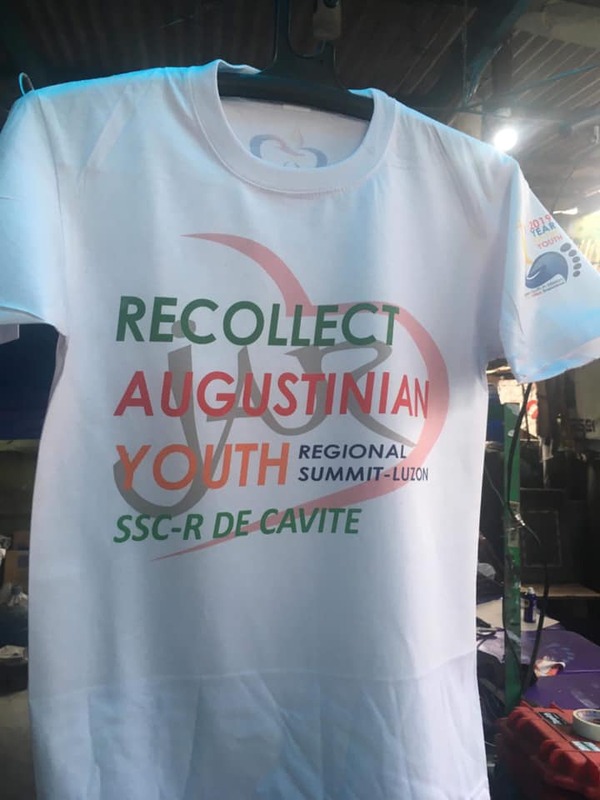 The Recollect Augustinian Youth (RAY) de Cavite have successfully hosted the second day (February 2, 2019) of the RAY Regional Summit. 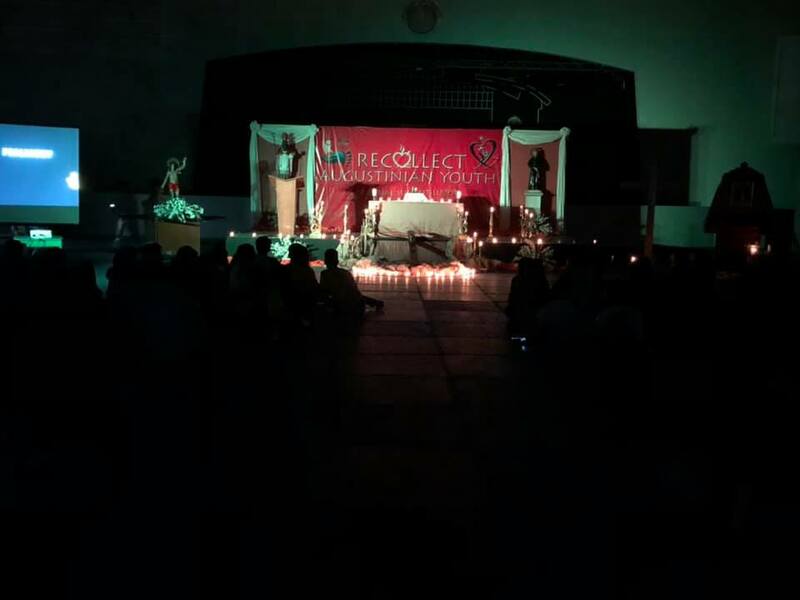 The line-up of activities did not fail to nurture the delegates’ spiritual formation, particularly with their participation in the morning praise, Eucharistic celebration, inputs, praying of the creative rosary, and lucenarium. Fr. Allan Jacinto, OAR, Section Head for Vocations, elaborated the theme of the 34th World Youth Day recently held in Panama: “I am the servant of the Lord. May it be done to me according to your word” (Lk 1:38). He emphasized how the youth should imitate Mary, the Mother of Jesus, for having a brave heart to follow God’s plan, and for being a source of healing and encouragement to others. 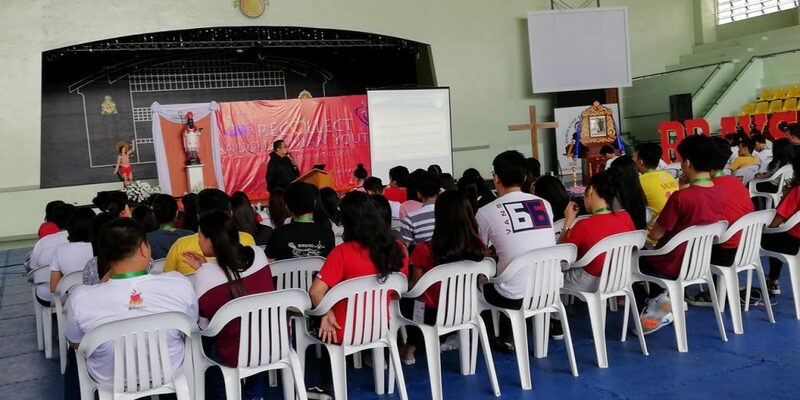 The second talk entitled “Youth: Messengers and Instruments of God’s Love” was given by Fr. Rafael B. Pecson OAR, President of SSC-R de Cavite. He offered some tips for a happy, gifted, and empowered youth. And one way, according to Fr. Pecson, is by daily sanctification, that is, by offering to God whatever we do and everything we are. Hyping the night, a cultural show was staged. Each group or school participant showed amazing performances showcasing their talents. The tiresome day was closed, but the delegates wore their happy faces for their memorable experiences. “Your youthfulness can be translated into a more mature gesture,” this line uttered by Fr. 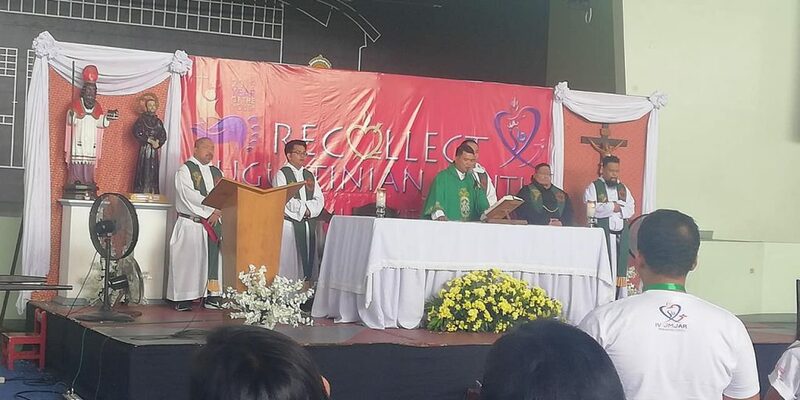 Amado Emmanuel Bolilia wrapped up the last day of the 2019 Regional Summit of the Recollect Augustinian Youth when he presided the mass at San Sebastian College-Recoletos de Cavite. Fray Bolilia is the President of the Secretariat of Vocations and Youth Ministry of the Province of St. Ezekiel Moreno. 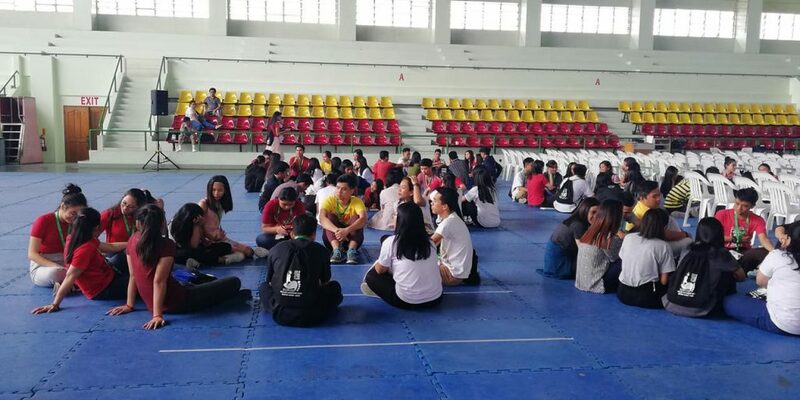 The closing day of the said summit – on February 3, 2019 – delegates prepared themselves by waking up early to participate in the morning activities. Morning Praise was led by Sir Jhersie Manesca and Miss Reina Elmira Esquillo. delegates from Cavite City and Antipolo City, respectively. Zumba right after the lauds energized the delegates. Breakfast followed. Fr. Joseph Dexter Palagtiosa, Section Head for the Recollect Augustinian Youth, was the speaker for the third session. He talked about the real meaning of RAY, which was a significant point especially for first timers in this summit. The different stages and formation process that every RAY member should go through, its way of life and the charism of the Augustinian Recollection were also among the things that he shared. “Being a RAY is more than that (collecting and animating). We are a family,” Fr. Palagtiosa said. That gave a lesson for the summit participants to learn from: that being a RAY member requires commitment and faithfulness to God. That their will to serve the Lord as a RAY member can lead them to their desired path of happiness. Fr. Palagtiosa mentioned further that the Recoletos communities taking charge of a RAY group ought to accompany the candidates until they become full-fledged members. He also gave some updates on the different communities and the relevant programs that should be practiced. The awarding of certificates to all the delegates ensued. Then, lunch was shared by everyone. Afterwards, they bade goodbye, which means, time to apply the Augustinian Recollect values and practices in order to grow more and become living witnesses of the Gospel and the teachings of our Father St. Augustine. “The RAY Summit was truly an amazing experience for everybody for it was really memorable and life-changing experience,” she concluded. ang rason ng rekoletong komunidad nang magtipon sila. Sa siyudad ng Cavite na siyang namuno. Mga Kabataan Nagmimisyon: Minamahal. Biniyayaan. Pinalakas. Alinsunod sa karisma ng mga Rekoletong Agustino. Handang magsakripisyo, gaya ni Kristo.